Carewatchers is a skilled nursing facility subscription-based private pay placement and referral agency. Products and services today are made affordable by offering subscriptions. 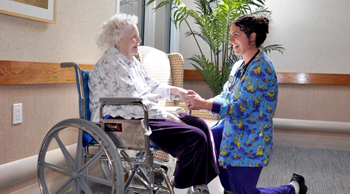 Why not for skilled nursing facilities? It works! Carewatchers offers skilled nursing facilities two affordable subscriptions that will help fill vacancies. 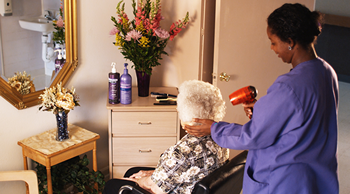 We make it possible for potential residents and health care professionals to find your facility. Facilities are looking for a placement and referral alternative without solely relying on traditional referral agencies to fill vacancies. Carewatchers is not just a placement and referral agency that waits for residents to come to us. We're in contact with health care professionals, hospitals and rehab facilities that have private pay residents to place in skilled nursing facilities on a regular basis. Most institutions and facilities we partner with believe it makes sense to spend more money towards care and less towards agency referral fees. How about you? After selecting a subscription, you'll provide your facility name, telephone number and descriptive information about your facility. Next, you complete the credit card process. If your facility does not have violations for abuse, neglect or violating resident’s rights you will be added to our data base and online within 24 hours. We will contact you to review your listing and to answer any questions you may have. Before Carewatchers refers residents to your facility, we pre-qualify them by obtaining the physician's report to provide the information needed for you to determine the level of care. We inform you about any social and cultural needs they may have. We also ask for their care budget to be sure they can pay a base rate between $4,000 and $10,000 per month. The base rate depends on what part of the country your facility is located. Your facility will be one of three exclusive skilled nursing facilities in your city that will be sent the pre-qualified referral. After providing you the referral information we allow you 24 hours to let us know if you're interested in that resident. If so, Carewatchers will make an appointment with the potential resident to tour your facility. We ask the resident to tour all three facilities before deciding. Carewatchers partners exclusively with only three skilled nursing facilities in each city to give the most in placement and referral opportunities. We offer two subscription options that provide placements, referrals, exposure, marketing and an alternative to traditional referral agencies. Both have benefits that help fill your vacancies, however the subscription you select does make a difference. • Potential residents searching for placement on Google, Yahoo and Bing will see your listing in our data base 24-hours a day. Your facility must have internet exposure to fill your vacancies. • Social workers, rehab facilities and health care professionals looking to place residents in your city will have access to your facility through your listing in our data base for six months. • Carewatchers sends your facility all emails and forms that we receive from pre-qualified potential private pay residents looking for placement in your city. • Carewatchers only sends placements and referrals to our three exclusive skilled nursing facilities in each city, unlike other referral agencies who send referrals to every facility in the city. • Social workers, rehab facilities and health care professionals looking to place residents in your city will have access to your facility through your listing in our data base for twelve months. • Carewatchers will arrange a tour of your skilled nursing facility with pre-qualified private pay residents who have contacted us looking for placement in your city.